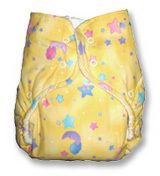 One size diapers to fit babies from newborn staright through to 35 lbs! No need to buy more and more sets of different sized diapers. 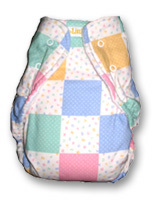 This diaper will see you through all of the diapering years! These diapers are no ordinary diapers, but made of only the finest quality material. 5 layers of fluffy soft Sherpa Terry (1 inch thick!) against your little one's tender bum, with an all cotton outer in a cute print. Incredibly absorbent and only the highest quality, you won't find a better diaper anywhere. All of our diapers are sewn by a work at home mom, so when you buy our diapers you will be supporting WAHM businesses all down the line! 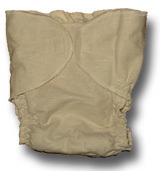 Fitted hemp and cotton diapers with snap closures that adjust to your growing baby's size. They have a muslin outer, jersey, inner and an absorbant terry soaker in between. Fits 3 -20 months. One full inch thickness of absorbant sherpa terry! 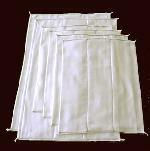 These doublers are sure to solve any leaking problems that you may have with less absorbant diapers. 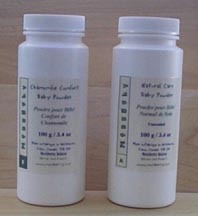 They are also great for long trips or outings where baby cannot be changed as quickly. Overnight, these are an absolute dream, especially for the heavy wetter! Print for doublers shown above. For those extra long outings or overnight, these doublers will help to increase absorbancy and allow you to go longer between diaper changes without leaks. 55% Hemp, 45% green cotton.